Galen V. Henderson, MD is a neurologist and the Director of the Division Neurocritical Care at the Brigham and Women’s Hospital in Boston. He is currently Associate Professor of Neurology at Harvard Medical School and has been elected member of the Academy at Harvard Medical School, comprised of Harvard Medical School’s elite medical educators. The Academy is responsible for innovation, mentoring, curriculum design and assessment of undergraduate medical education. He trained in Neurology at the Harvard Longwood Neurological Training Program and completed his fellowship in Stroke and Neurocritical Care at the Brigham and Women’s Hospital in Boston. He has participated with the American Academy of Neurology and the Neurocritical Care Society as the director of courses regarding neurocritical care. 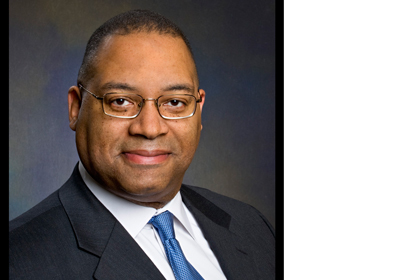 Dr. Henderson has been awarded a Medal of Honor by the US Secretary of Health and Human Services for his national leadership with the National Organ Donation Collaborative. Dr. Henderson is the Associate Medical Director for Critical Care at the New England Organ Bank. He was the founding Deputy Editor of the international publication Journal Watch Neurology and currently the editor of Reprints in Stroke, which is published by the New England Journal of Medicine and the Massachusetts Medical Society. Dr. Henderson has more than 40 publications and has lectured in over 20 countries. He is internationally known medical educator in critical care neurology, stroke, undergraduate medical education and national leader in quality healthcare improvement. ADDENDUM: Dr. Henderson, ’93, was honored with a Brown Bear Award on September 27 at the 2014 BAA Alumni Recognition Reception & Ceremony. The award honors a lifetime of outstanding and wide-ranging volunteer service to Brown.